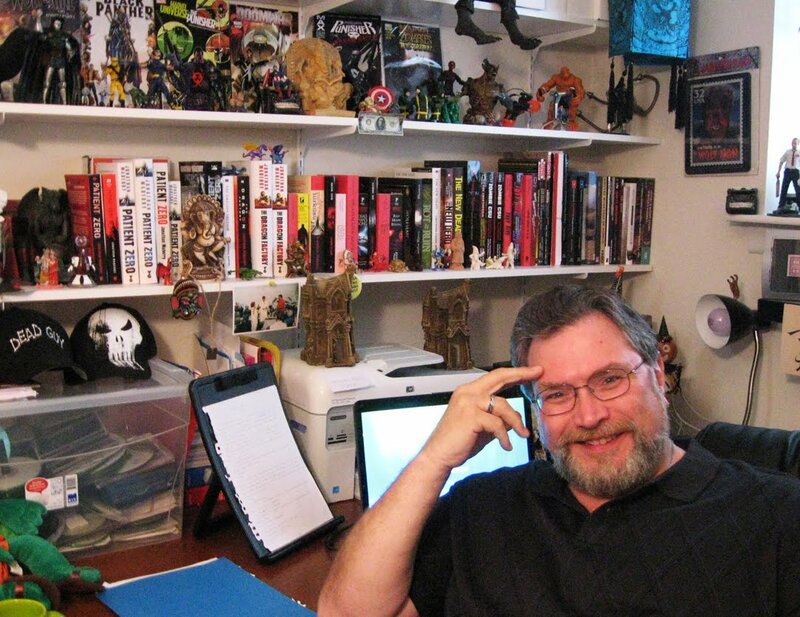 JONATHAN MABERRY is a New York Times best-selling and multiple Bram Stoker Award-winning horror and thriller author, comic book writer, magazine feature writer, playwright, content creator and writing teacher/lecturer. His books have been sold to more than a dozen countries. 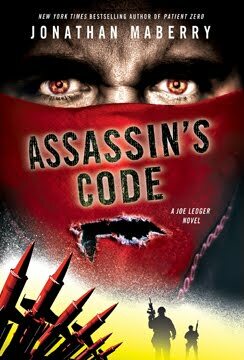 Besides writing fiction in multiple genres, he's also written many non-fiction books as well. He's always ready to explore new methods of reaching readers. In the interview that follows, Jonathan sits down with David Weir to discuss the secrets to his success. David Weir: You've had an unusually diverse background as a writer of both fiction and non-fiction. What are, for you, the key differences between writing non-fiction and writing fiction? JM: I’d like to say that in fiction you get to lie and in nonfiction you always have to tell the truth, but that’s not true. I’ve read too many memoirs by celebrities, CEOs and politicians. No, for me the key difference between fiction and nonfiction is freedom. I wrote a slew of nonfiction books and over twelve-hundred feature articles on subjects ranging from martial arts to bartending to jazz drumming. Although articles can be smooth, and easy, with a conversational style and even a bit of allegory or a motif sewn in, at the end of the day you are arranging facts in a way that will inform and entertain. With fiction, you create worlds. You can twist truths, create realities out of whole-cloth, and slant a viewpoint six ways from Sunday. Before, when researching a topic for a feature article I would build my article to support my premise, but some part of me was always wondering ‘what if?’ For example, I did an article on genetics years ago, back when the Human Genome project was just getting started. The piece was a basic explanation of that project, with some informed opinions by experts on how the resulting information might be used. Like finding the gene for hemophilia and eliminating it from our DNA. Cool stuff. But another part of my mind was wondering how the military might use that information. Or a corrupt pharmaceutical company. Or a terrorist organization. How could well-intentioned science be used for profit, destruction or to further an extreme ideology? In fiction I can explore that. 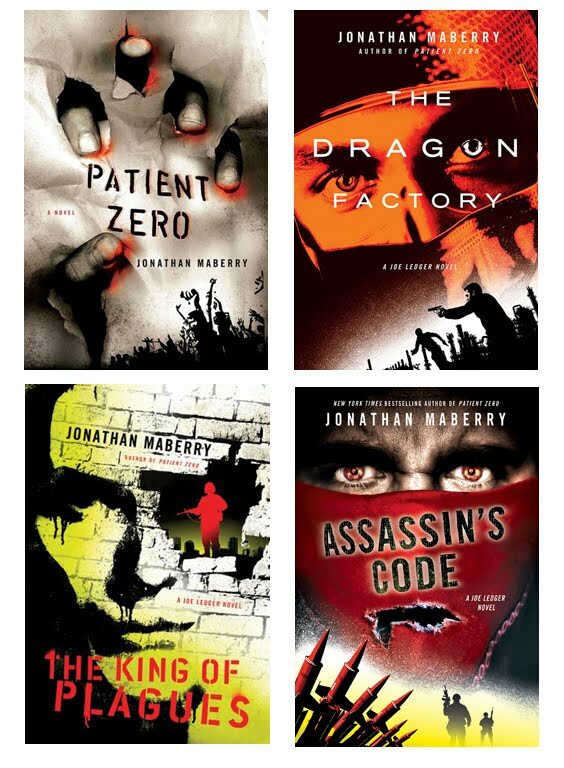 My first two thrillers, PATIENT ZERO (St. Martin’s Griffin, 2009) and THE DRAGON FACTORY (2010) were explorations of those ‘what ifs’. In PATIENT ZERO, I had a pharmaceutical magnate who was creating terrible pathogens and having terrorists release them so he could profit from the resulting boon as nations scramble to develop, stockpile and distribute viable treatments. In THE DRAGON FACTORY, transgenic science is variously used to clone Neanderthals as a slave race and to create communicable versions of genetic diseases such as Tay-Sachs and sickle-cell anemia as weapons of ethnic cleansing. Do I think things like this might happen? Sure, there are very rich, very corrupt nutjobs out there and a great many scientific advancements for the betterment of mankind are funded by private multinational corporations and the defense departments of various countries. If I wrote that in the form of magazine articles, there’s a good chance that I’d either be labeled a fruitcake, or not sell them, or sell them to small markets that cater to alarmist readerships. Write them as novels and they’re cautionary tales lauded for making bold statements. It’s a crazy ol’ world. As a novelist, I essentially lie for a living, which allows me to tell odd little bits of the truth. DW: How did your training as a journalist affect your transition to a fiction writer? JM: I count myself fortunate in that I studied journalism rather than creative writing. Journalists learn good writing habits. Journalists don’t mythologize the process of writing. They research, they write, they revise, they submit, and they move on to the next thing. One of the first things I learned in journalism class is that writer’s block is largely a myth. It’s the end result of have no practical writing process. When it comes to writing, I am a very disciplined person. Sure, there is a major artistic component and often art cannot easily be contained, categorized or structured. Fine. But the finished product –be it a short story, a novel, a memoir or a poem—certainly can be. You can write with lyrical beauty, passion, insight, and still hit a deadline. DW: How important have editors been in your work with traditional publishers? JM: The participation of a professional editor definitely matters. It influences the quality of the finished product. I know for a fact that my novels have become better books –both in terms of literary quality and marketability—because of notes received from editors. For example, my editor at St. Martin’s Press, Michael Homler, always gives good notes. He doesn’t tell me what to write, but he advises me on what he believes the story needs in order to reach its full potential. In my first novel for him, PATIENT ZERO (2009), I had a villain who spent a lot of time in his own head. So much so that his thoughts tended to be a kind of expository info dump. Homler suggested I give the villain a ‘Watson’, a person to confide in and talk to. Now, that was the extent of his advice on that point; Homler didn’t try to take over and write the story his way. He observed an element that could make the story better and then left it for me to handle. I created a sarcastic valet/bodyguard named Toys, and rewrote the scenes with the villain (Gault) so that they discussed things rather than have Gault mull them over. As a result, those scenes came alive. Toys became central to the story, which inspired a rewrite of some chapters to give him more to do. He also became a major fan favorite, and the fan reaction inspired me to bring Toys back for two other books in the series. That’s the kind of end-result you can get with a good editor. That said, not all editors at the big houses are good. Some give minimal notes, some give none. This has a couple of different possible outcomes. The writer can choose to let the story stand (or fall) as written. That choice is seldom the right one. The writer can workshop the book in a writers group, which is nice but often hit or miss in terms of real value to the finished product. Or the writer can hire a freelance developmental editor, of which there are many, and a lot of them were once employed by the big houses but lost their jobs during the economic crunch. This is often a good choice. And, no matter what choice the author takes, he should also do everything he can to improve his own writing craft. DW: When it comes to independent and self-publishing, what are the main lessons you've learned to achieving success? JM: One of the key things to understand is that publishing is constantly evolving, and that’s never been more evident than during the recent e-pub boom. The old paradigms are cracked and they’re leaking good writers and good money. My first flings with self-publishing was via workshop packets. I taught self-defense to a variety of special needs groups (women, children, the physically challenged, etc.). I would prepare informational and study materials for each program and self-publish them as pamphlets, booklets, workbooks, training manuals and textbooks, depending on need. Depending on the size and scope of the program, sometimes this was done at Staples, sometimes I took it to a small press, and sometimes I did it myself via a good quality local printer. Because the materials were well organized, nicely printed and handsomely bound, they were taken more seriously by the participants. Presentation matters. Also, the quality of these materials appealed to various organizations and groups. Sometimes they would result in an offer to teach classes/workshops; and sometimes a request to purchase copies of the materials. In either case, I made sure that I had the materials professionally edited and laid-out, and printed by a pro shop. I wound up selling rather a lot of those materials. This was before the rise of digital printing. In 2004 I was hired to run a not-for-profit writers center in Doylestown, Pennsylvania –the Writers Room of Bucks County. Aside from classes (where our emphasis was strongly toward the professional mainstream markets), we created a small press. Some of our participants had projects that would not have a mainstream appeal but they still wanted their work edited, laid-out, printed and bound with care and quality. I contracted freelancers to handle each of those steps, and we created a variety of books that anyone can be proud of. We used software for layout and took the work to good quality printers. Some of our own staff even published works through our press. That kind of micro/indie press could very easily have turned out shoddy or second-rate work –and a lot of people would be so happy to see their names in print that they wouldn’t care. We, however, did care. The freelancers we hired were top of the line. The covers could stand muster with anything coming out of New York. The interior, from endpaper to endpaper was fine. Why? Because we wanted to reinforce a sense of value, to say that: just because it’s self-published doesn’t mean that it has to be flawed. I know for a fact that our little press was a significant influence on other small indie presses throughout Pennsylvania. Quality matters. It shows respect for the material, for the writer, for the reader, and for the spirit of publishing. If there is quality at every step, it doesn’t matter whether that book is published by the big six or by you. DW: How did you discover Smashwords, and how do you foresee it assisting your publishing strategy both today and in the future? 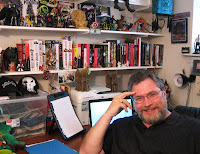 JM: I first heard about Smashwords in late 2008 through Don Lafferty, a fellow member of the Liars Club and a nationally-known social media consultant. 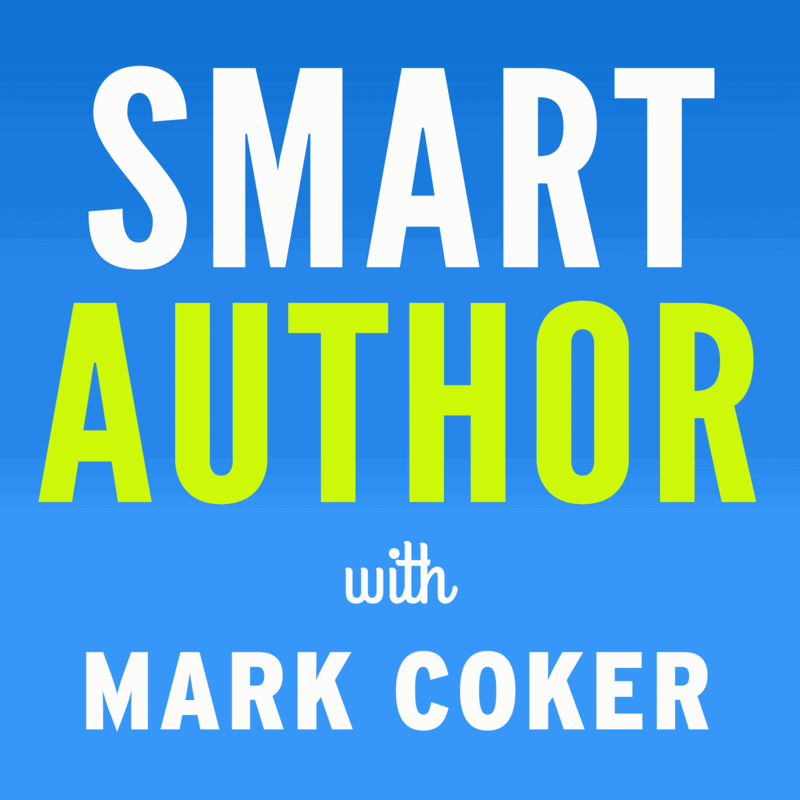 It was in a transcript of a social media online discussion conducted by Chris Brogan in which Mark Coker participated. I thing they had about 120 titles on Smashwords at the time. 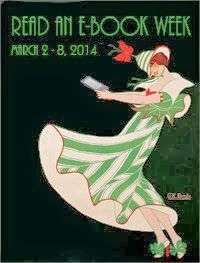 At the time I didn’t think much of it because I had only recently (in 2005) become fully invested in mainstream publishing through two multi-book deals with Kensington (three novels to Pinnacle, five nonfics to their Citadel imprint), and had just landed a three book deal with St. Martin’s Griffin. Also, I was just starting to write short fiction and those pieces were in response to invitations for specific anthologies. It wasn’t until more than a year later, when I kept hearing about Smashwords and how fast it was growing that I decided to take a closer look. I was very impressed, and I made the decision then that as soon as the rights to my first few short stories returned to me, I’d republish them via Smashwords. Which I did. So far I haven’t used Smashwords for my novels because they’re all still in print with major houses, and they’re all doing very well there. However I’ve been looking at my old out-of-print nonfiction books and I’m very likely going to put them up on Smashwords. I like the control that Smashwords offers, and I like the sales percentages. And these are books that have already had their heyday, so a major house might not want them because they couldn’t move enough units of them. That doesn’t matter on Smashwords. Though…I suspect those books will, in fact, do pretty well there. The trend is going that way. DW: Many commercially successful authors such as yourself are wading into the indie ebook publishing waters. How do you see this trend progressing in the next couple years? JM: In 2009, when the economic tsunami really hit publishing, a lot of author colleagues lost their deals. Books were starting to go out of print left, right and center. Superb authors were stranded. But then rumor started spreading of some of these authors moving over to the world of self-publishing. Prior to the economic crash and the accompanying rise of quality digital publishing, this would have been unheard of, or it would have been viewed as career suicide. But then we started hearing about guys like J. A. Konrath, Scott Nicholson, Barry Eisler and others –top quality authors with significant mainstream track records—who were self-pubbing on the Net. So, on one hand you have many doors closing in mainstream publishing because the economy went into the toilet; and on the other hand you see top writers making serious money by going totally independent. The writing was on the digital wall for everyone to see. And this wasn’t just an answer to the prayers of some guys who were sinking when they lost their deals…no, this was an example of entrepreneurial courage and determination in a winning model. This was the beginning of a new era in publishing. We don’t know exactly what publishing will look like ten years from now, five years from now, or even next year. One thing we can absolutely bet on, though, is that e-publishing in all of is forms will be a major part of it. That’s not going to go away. DW: Will we reach an equilibrium point where most big authors are straddling both worlds, or do you see this as the start of a slow bleed where authors shift more of their publishing to the indie realm? JM: Smashwords accomplished something that a lot of people thought was impossible: it legitimized self-publishing in a way that not only made it easier to do, but it made top quality self-publishing easier. And, equally as important, it created a model for publishing that makes a pretty powerful statement: no work ever needs to go out of print. This is HUGE for authors with complex and/or long careers, because eventually some of our older works go out of print, or the rights contractually return to us. That leaves us with works that are no longer earning profits or royalties. That’s dead weight, and until Smashwords, every writer I knew had some of that dead weight. Now Smashwords has allowed us to breathe new life into those works. It puts them back onto the market in a way that makes it easy for anyone to purchase. They’re much easier to publicize (a Twitter post with a URL will do it), and it uses smooth e-commerce payment methods like Paypal. So, instead of sitting idle, these older works can reach the readers. Now, here’s a couple of interesting side-effects with that –and these are the reasons so many name authors are choosing this method of self-pubbing. First, by keeping all of your older works on the market, you have more products to feed an established readership. You don’t lose readers between new projects because there’s something to lure then back to your brand. News about repubbed out-of-print works is also buzzworthy, so it gives you good content for social media. It’s also a wonderful place to put those projects that wouldn’t otherwise have a home. A lot of authors have books or stories they couldn’t see because the current market wasn’t right for them. Trends change and bean-counters heavily influence what the big houses buy. So you might have a book that wouldn’t have big market appeal, but which you still feel is well written. With Smashwords, you can put that piece up, buzz it all over the place, and establish a unique readership for that piece. Since the mainstream market didn’t want it at the moment, then it’s not a competing product with your conventionally pubbed works. And, it works as brand reinforcement which will often drive readers TO your conventionally pubbed works. And the other reason Smashwords works so well is that it was created as a class act. It looks as professional as it is, so it gives that pro look to self-pubbed works. That opens the door for writers to be read who might otherwise never be on the public radar. It reinvigorates stalled careers. And it supports the careers of top pros. DW: Do you work with editors in your indie writings or do you self-edit? JM: Even though I know my craft well enough to be a successful full-time author, I know that my writing has some weak spots. I dangle participles, split infinitives and I’m still not certain I reliably know the difference between further and farther. So, yeah, if I’m putting something up via any kind of self-publishing, I’m going to want an editor to take a look at it. I typically look for freelancers who have worked in traditional publishing and have taken a work all the way from purchase to print. I’m not really looking for a talented amateur. I’ll pay professional rates to get professional quality. It’s always worth it. DW: You've said "writing is an art, publishing is a business." What are the main implications in that for self-published authors? JM: There is a tremendous amount of propaganda about what it means to be a writer. If we come at it from a creative writing direction, there’s even more propaganda. I can’t count how many times I’ve heard writers tell me that creative people simply aren’t any good at business. People say it like that’s a given, and I believed it myself for a while. At the same time, there is the snobbish viewpoint that commercial success is only possible at the expense of artistic quality. That’s nonsense. 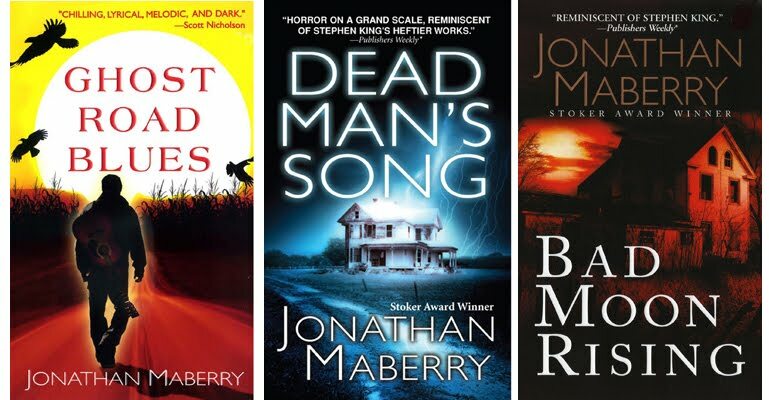 Look at authors like James Lee Burke, Cormac McCarthy, Toni Morrison, Elmore Leonard –they’re masters of their craft and their books are brilliant, insightful, superbly structured, and highly successful. There’s not a whiff of artistic compromise and yet they’re bestsellers. Some years ago I got burned pretty badly in a publishing venture. A friend started a small press and asked me to write a couple of nonfiction books to help launch it. Everything was done with handshakes. He was a businessman, I was a writer. We did the books, he published them. As it turned out, he didn’t know enough about publishing to make his new venture work, and I knew even less. I was a magazine guy and knew virtually nothing about book publishing. As a result the books tanked, our friendship floundered and nobody made any money. I began to realize that a lot of the mistakes could have been avoided if I knew how the business worked. I had to break through the propaganda wall and believe that I, as a writer, could understand the workings of the business. I read everything, took business classes, talked to writers of every stripe, talked to booksellers, read interviews with agents and editors. In short I taught myself how it all worked. The core of the discovery was the realization that publishing is an industry that exists to sell units of products. It is not an art-appreciation society. Sure, individual members of the publishing world may love books –some may even have been drawn to publishing out of a love of books—but the industry itself is all about sales. Writers too often try to enchant agents and editors with the magic of their work, and that’s selling to the wrong audience. The content –the magic, the insights, the beauty, the craft, the absolute love of words—is part of a dialogue between author and reader. The dialogue between author and publisher is based on how likely it is that this book will sell a large number of copies to an established demographic who has a measurable interest in similar books. In that regard it’s no different than selling cars, bottles of ketchup or sneakers. Based on what was for me a revelation of epic proportion, I rewrote my query letter so that it resembled a business letter instead of an appeal to the artistic sensibilities of New York’s top agents. The result? My manuscript got read, I got representation, and I got sold. The artist effect is that because I have achieved commercial success, I have more time to hone my craft and write books that allow me to bring my insight, my artistry, my skills and my excitement to a large number of readers. By working within the structure of the industry I’ve established the dialogue with the readers. DW: You speak at many conferences and are active in various organizations -- how do these help to build and extend your brand as a writer? Writers should always help other writers. That’s become my manifesto. Particularly because I’ve come to the opinion that there are two separate camps within all of publishing –and I’m including everyone from the folks in your adult ed writing class to the captains of the publishing industry. One camp is fear-based. They seem to believe that if they help another writer, then that other guy is going to get the opening/job/spot/opportunity that should have been theirs. Better to not help and look out for number one. That seems to be a very close-minded and dreary approach. The other camp –the one to which I happily belong—believes that if writers help other writers, then more good works will get published, more people will want to read these works, and all of publishing will thrive. Indie, mainstream and solo press. During the economic slump, that first camp has come to view the future of publishing as a glass half-empty and full of bacteria; which my camp views it as a glass half-filled and the waiter’s coming with a fresh pitcher. When I am invited in as a keynote speaker, guest of honor or panelist at a writers event, that’s my message. I’ll shout it to anyone…and I’ve found that it’s the kind of message people really are waiting to hear. DW: Among the many genres you've explored -- young adult fiction, action thrillers, horror, comic books, vampire books, and more -- do you have a favorite, and if so, why? JM: I’m fickle. My favorite genre is whatever I’m working on today. 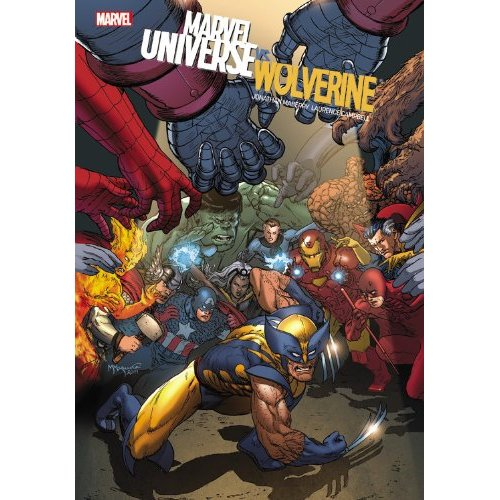 For example, last week I finished issue #1 of an Avengers miniseries I’m writing for Marvel Comics, so I was Mr. Comic Book and that was my world. Today I’m back to writing FIRE & ASH, the fourth in my post-apocalyptic zombie series for teens, and that’s my favorite genre. After that’s delivered on August 1, I have to write a Steampunk Western short story –so that’s where my heart will be. I’m fickle, but I’m passionate. DW: Do you have a separate approach to each genre as a writer, or is every project essentially the same, from a methodological point-of-view? JM: My approach to writing is the same no matter which genre I’m writing in. I always start with concept notes, a rough outline, and then a lot of research. I’m a research junkie, and I like packing a lot of interesting little details into my fiction. I also tend to read heavily in whatever genre I’m about to write (but never while I’m writing in it). So, right now I’m writing about zombies but I’m reading Steampunk and westerns because that’s what’s next. DW: Is there an advantage to being so versatile as opposed to staying in one "vertical" as a writer? JM: In this economy it can be career suicide to be a one-trick pony. Unless you hit homeruns with every book, you stand the risk of having a genre go cold, or your own sales flag, or a publisher not support you enough to generate sustainable sales. When I was a magazine feature writer I was all over the place, writing the pieces that fascinated me –martial arts, business, music, sports, psychology, pop culture, you name it. I wanted to have that same freedom as a fiction writer, and when I was shopping for an agent I made it clear from the jump that I was not going to be locked into a single genre. As a result, part of my brand is that I’ll try damn near anything –as long as I think I can bring my A-game and also have some fun. When that’s the vibe you’re putting out, people do respond. 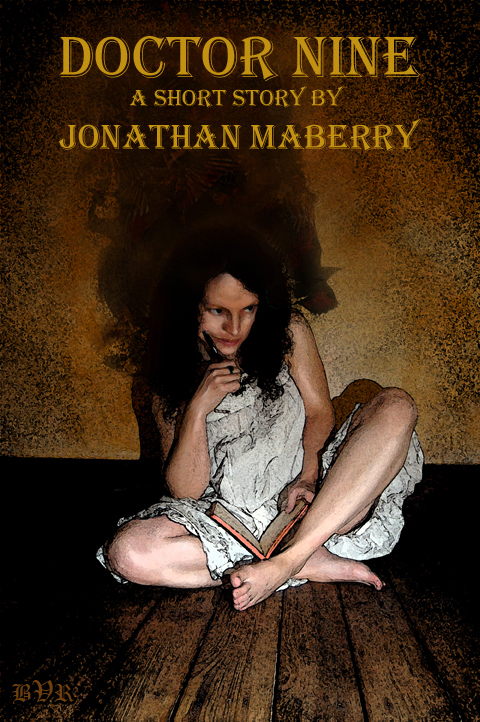 I’ve been asked to contribute short stories to all sorts of magazines and anthologies, ranging from military science fiction, to folklore-inspired mysteries, to comedy, to psychological thrillers to classic ghost stories. Editors know that I’m game for anything. Right now I’ve got stories due for an Oz anthology, a Steampunk western antho, a Cthulhu Mythos antho, an antho of Auguste Dupin stories (the detective from Poe’s stories), and an urban fantasy antho. In fiction, the willingness to write in more than one genre has actually given my agent the opportunity to make multiple book deals with different houses. For example, I’m writing YA novels for Simon & Schuster, adult science thrillers for St. Martin’s Griffin, editing a horror anthology for IDW, and writing comics for Marvel. Since these are in different genres, the release of so many books doesn’t cut into my sales in any one area, and often cultivates strong crossover sales. Plus, hell, shifting around a lot is a wonderful way to prevent even the possibility of career boredom. Even I don’t know what I’ll be doing next. DW: The world of traditional publishing is changing so rapidly -- what are the major trends from your perspective, and how will they affect indie authors? JM: The biggest trend in modern publishing is that the author has a voice. One that’s being listened to by everyone. This matters, however, only if the author uses his voice. I used to believe that the writer worked for the editor/publisher and was happy with anything –work, money, etc.—that came his way. I used to believe that you didn’t dare rock the boat because mainstream publishing would chuck you overboard if you did, and that the waters of indie or self-publishing were full of piranha. I don’t believe that anymore. My perspective shift gained a lot of traction during the rise of social media. That’s when I realized that the writer is the brand (not any given work by that writer), and that brand management is being largely left to the writer. It’s a bit of a logic puzzle, though. Since publishers channel little or no money into most of their authors, the burden is on the authors to buzz themselves and their works; however, as social media became more effective and widespread, authors had access to marketing methods that got their name out there to a wide and diverse audience for little to no money; as a result, publishers felt that they could put even less money into promotion since writers were doing more and more of the heavy lifting; which meant that the writers had to do more to stay on the public radar; which allowed the publishers to withdraw even more marketing support. And so on. Depending on how you look at that, it’s either a self-tightening knot or a golden opportunity. For anyone who doesn’t embrace social media and the new opportunities offered through indie press and self-publishing, this is a career death spiral. To those of us who see it as a series of wide-open doors, it’s career gold. The trend is to embrace the fun of social media, working it like a video game, shifting and changing with it, paying attention to the analytics, making adjustments on the fly, staying savvy…and having lots of fun. Writers who do that are going to rise to the top of the game. DW: How do you recommend indie authors best use social media, blogs, and so forth to promote their work and their brand? JM: The best first step is to decide what the tone of the brand is. Negativity does not sell, but a lot of writers seem to using it as a way of getting heard. Sure, you’re heard…and then ignored. Let’s take ‘Twilight’ as an example. Folks love to take swings at Twilight. They tear apart the writing, they make endless jokes about the whole ‘sparkly’ thing. Some of those jokes are even insightful and funny, but when I see those comments in posts by people who I KNOW are pitching novels to the modern horror market, or trying to promote their own self-pubbed works, I cringe. I mean, take a step back and look at it from a business perspective –this is the brand frequency being transmitted by someone who wants to get into the business or get deeper. How is that person going to gain useful traction with agents, editors, booksellers, reviewers, or readers (particular of the genre) by throwing stones at a product line that has—between books, comics, toys, movies, licensing, etc—brought billions into the industry? Where is the logic in that? How is that even good business sense? It comes off as whining jealousy, and believe me when I say that these are not pathways to publishing success. The lack of common sense is appalling. Do these posters think that publishers, marketing suits, editors, agents and their legions of staff pay NO ATTENTION AT ALL to what’s being posted and by whom? Seriously? It’s not that I’m saying you have to use social media branding to insist that you’re on Team Edward, but there are times when it’s better to say nothing on a subject then to post snarky attacks. If you want to vent, do it over beers at the next Stoker banquet. We’ll all listen. But don’t put it online. So, what do you put out there? Think about a party. If there’s someone who is bitching and moaning and someone else who’s getting folks to laugh and loosen up, which way do you drift? If a kid in a playground is constantly bitching about the quality of the toys, and another kid has turned a cardboard box into a sideshow funhouse, who’s getting more attention? Who’s going to be remembered in a positive way? DW: I've noticed that all of your work is available in audio versions, can you tell us how you accomplish that? 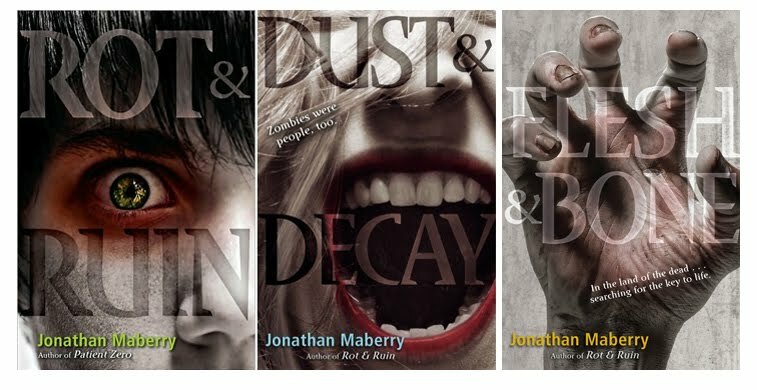 JM: The audio versions of my novels were all arranged by the publisher. At the moment all of my novels are still in print by traditional publishers (Simon & Schuster, Tor, St. Martin’s Griffin, and Pinnacle). However the short stories were sold for audio differently. The first collection of audio shorts was JOE LEDGER: THE MISSING FILES, and I asked my agent to approach the audio publisher the Joe Ledger novels to see if they’d be willing to do the shorter works. She negotiated a deal and the stories were made available as a full collection and as individual downloads. The sweetener in the deal was that I would write one original story that would be an audio-exclusive for three years. I was fine with that. More recently I asked my agent to try and sell some of my other short stories. I suggested two collections: HUNGRY TALES (zombie stories) and TALES FROM THE FIRE ZONE (a mix of mystery and thriller and weird stories). Again I offered to write one original exclusive story for each collection. The deal was closed the other day and the collections will be out in the fall. Yesterday I asked my agent to approach the same audio publisher (Blackstone Audio) to do an audio version of an anthology that had been self-published by my group The Liars Club. 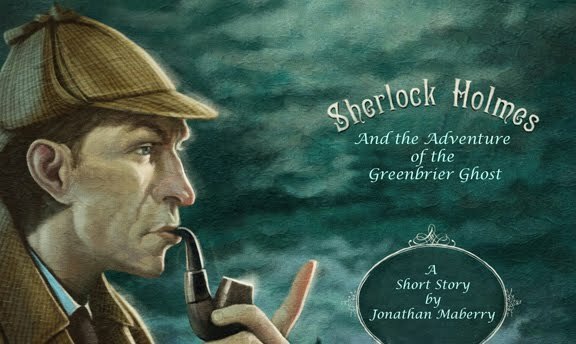 We’d done the print/e-book version of the book partly as a fundraiser for literacy programs, and it did nicely. I thought it would work well in audio, and these days audiobooks are on the upswing, since downloading makes them less expensive to produce and more affordable to purchase. We’ll see how that deal works out. The sweetener here is that I would replace my story in the antho (which is actually a reprint), with a new story, and there would be new, original tales by the two newest members of the Liars Club –Chuck Wendig and Stephen Susco. The book has a wonderful introduction by Sandra Brown. DW: The rights to some your books have been purchased by various Hollywood entities; what has that been like for you as the content creator? JM: Everyone should have at least one Hollywood experience as a way of learning some crucial life lessons, namely: Don’t get your hopes up; don’t hold your breath; don’t expect the quick fix; and also don’t give up. My first brush with Hollywood was with Disney. I co-created a horror entertainment news shows called ON THE SLAB. You will not have heard of it. Disney bought it, paid us to write the show bible, a sample script and the whole shebang. Their check cleared…and then there was a change in management resulting in the project being shelved until (apparently) the end of time. 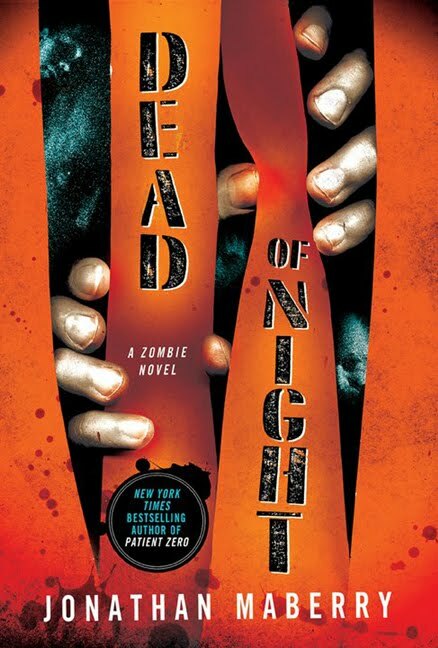 Then my novel, PATIENT ZERO was optioned by producer Michael DeLuca on behalf of SONY. They took it to ABC, who hired Emmy-winning screenwriter Javier Grillo-Marxuach to write the pilot. He wrote a brilliant pilot. It got all the way down to a split decision with the network president –between DEPARTMENT ZERO (the name they chose for the show) and the remake of CHARLIE’S ANGELS. They went with the Angels, which lasted three episodes before being cancelled. The option expired and we’re shopping it elsewhere. More recently I sold the option on one of my series of books, but details of that are under wraps pending a formal announcement. And I’m in discussions with some studio heads to possible write an original script. I have friends who are successful screenwriters—like Stephen Susco (The Grudge, Possession), Eric Red (Hitcher, Near Dark), and Tony Peckham (Invictus, Sherlock Holmes). However I also have a lot of writer friends whose work was optioned, or even been in development. Few of those books ever made it to the screen. I am not, however, either cynical or bitter. I knew this about Hollywood going in, so I’m looking at this like a video game, too. DW: So what's in the pipeline going forward, and are there any new genres you're considering exploring? JM: I’m about to pitch a YA novel that has no monsters, no science fiction, nothing that blows up, and no flesh-eating ghouls. That will be a real lane-change. But I’m also prepping pitches for a mainstream police procedural, a folklore-inspired epic fantasy, and also a video game. I’ll go in any direction where a good story pulls me. DW: Finally, to all of those less-experienced authors out there, what words of encouragement can you offer to help them keep going? JM: It’s so critical that all writers understand that publishing is a business –indie, mainstream or self-pub—and that the more they understand about that business, and the more businesslike they act, the more successful they’ll be. Second, learn the craft. Learn it well and never stop learning it. Never assume that you can’t improve your craft. You always can, and it’s always worth it. And, have fun. If it’s not fun, you’re doing it wrong. Success shouldn’t be the yardstick. Visit Jonathan Maberry's Smashwords author page at http://www.smashwords.com/profile/view/JonathanMaberry where you'll find six short stories. Snarking about other people's books could also be looked at as insulting your own prospective audience. If you're effectively saying, "You're an idiot for liking X but, here, buy my book," how's that going to work? The best interview you've had here so far. Great interview. I will have to come back later and read again. Such great advice. Thanks, Jonathan. It was interesting to follow your progression through publishing and to get a few tips and reminders along the way. You set a good example to us all by becoming 'professionally passionate' about any genre that you engage in. I regard myself as a good writer but I've never really considered working outside of my dark fiction/horror comfort zone. I'll be looking at the art, and the business, through a fish eye lens from now on - Thanks. There is a difference between giving an honest, constructive critique of a work and snarkiness, or in being up front in a review or critical piece about a work's shortcomings. Too often they're mistaken for snarkiness, and vice versa, which is a damn shame. Both interview and overview—you guys covered a lot of ground here! Jonathan your enthusiasm for the literary arts is always contagious—thanks for sharing so much of it here.